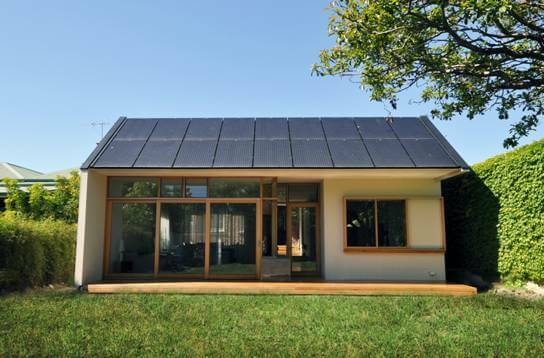 Winning designs now online We are very lucky that all of our winners decided to share their amazing design ideas and..
Stuart McQuire and Wendy Orams were second in Australia to install a grid-connected rooftop PV system and haven’t..
Metro Melbourne’s first certified Passive House is throwing open its doors for Sustainable House Day 2017 to show.. Featuring an effective passive solar design, salvaged and recycled materials, and an innovative whole-block water..
A concerted effort by dedicated clients and their committed design and build team has pushed the envelope on this..
Few houses take on the mantle of sustainability through simplicity as thoroughly as the home Agnes Nienhaus and Michael..
For committed ‘greenies’ Margaret and Charles Madden, building an eco-house had been on the bucket list for a long.. Sustainable House Day Darwin – Come Along and Experience Sustainable Living in the Tropics - Sunday 20th August 10am.. Thinking about going all-electric, but unsure what’s involved? Here we present an overview of the steps to going..